The city health department said that it would enforce the order by checking vaccination records and tracking down individuals who have been in contact with infected individuals. 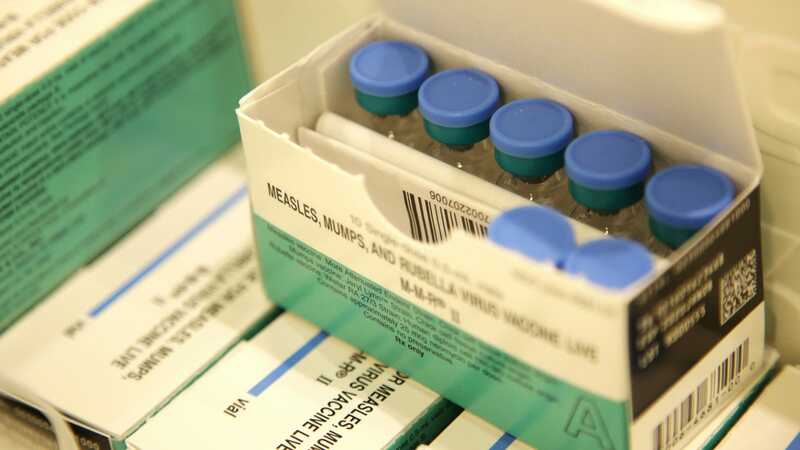 Those who have not received the MMR vaccine or can not provide evidence of immunity could end up slapped with a $ 1,000 fine if they refuse to get the shot. Per ABC News, the plaintiffs in the suit to stop that from happening are alleging that "there is insufficient evidence of a measles epidemic or dangerous outbreak" to justify the order (despite at least 285 reported cases in the city this year) and called it "Arbitrary and capricious." "That's compulsion , and that's equivalent to force, "Krakow said. "The city should not be doing that." The World Health Organization has declared the antivax movement a global public health threat, and antivaxxers have taken much of the blame for measles' resurgence-which Ars Technica noted stands at 555 cases in 20 states so far in 2019, on track to surpass 2014's tally of 667. The lawsuit also alleges the order violates religious freedom. There are indeed exemptions to mandatory vaccination on religious grounds in 47 states, including New York. But the New York Times noted city and state health commissioners usually have vast powers dating to the epidemic-ridden 1800s (late NYC health commissioner Dr. Cyrus Edson said in 1892 he could seize New York City Hall and convert it to a hospital) and that there is "virtually no canonical basis for vaccine avoidance among the world's major religions." In any case, while the outbreak is believed to have originated among New York's Orthodox Jewish communities, the vast majority of rabbis and others there are strongly pro -vaccine-with the Times and BuzzFeed News pointing instead in part to a dedicated fringe group of antivaxxers, backed by national antivax organizations, targeting ultra-Orthodox Jews with fliers and handbooks. (A Politico report cited the rate of religious exemptions in Williamsburg at five percent; this is obviously very bad, but far from the highest non-medical exemption rate in the country.) The Times separately reported that some of the strongest pushback against the antivaxxers has come from Jewish groups working closely with health officials. "The publicity of us-the rabbinical leadership and lay leaders-telling people that you have to, by Jewish law you have to vaccinate-That will have the effect on those last few holdouts to basically fall in line, "United Jewish Organizations of Williamsburg head David Niederman told Politico. "This outbreak is being fueled by a small group of anti-vaxxers in these neighborhoods," Health Department and Health Commissioner Dr. Oxiris Barbot wrote in a statement last week. "They have been spreading dangerous misinformation based on fake science." As Ars Technica noted, antivaxxers have filed lawsuits in response to other emergency actions. After a separate group of parents in New York's Rockland County, which is facing a nearly 200-strong measles outbreak, successfully had courts halt a ban on unvaccinated children in public spaces, health officials simply issued another set of orders barring anyone sick or exposed to measles from indoor and outdoor places of public assembly. In a statement to the Law Journal, city law department spokesman Nick Paolucci said, "The US Supreme Court has upheld the right of states and localities to mandate vaccines to stop outbreaks. We are in the midst of an epidemic that was preventable. Our attempts at education and persuasion have failed to stop the spread of measles. We had to take this additional action to fulfill our obligation to ensure that individuals do not continue to put the health of others at risk. "